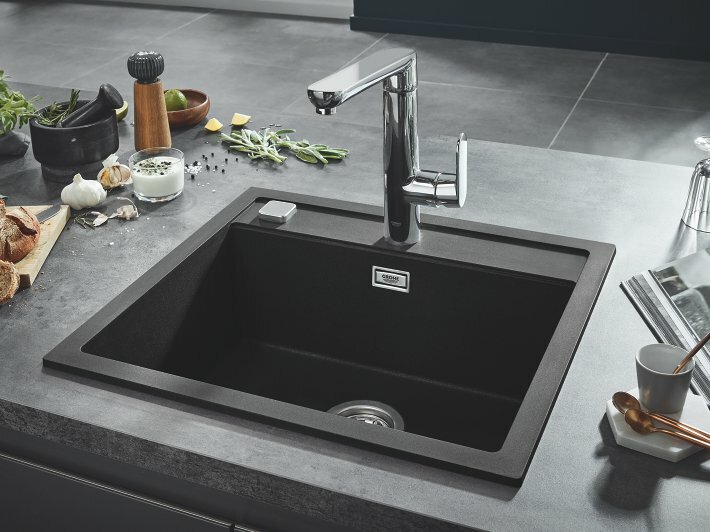 GROHE kitchen sinks have been designed to fit every type of kitchen scheme, with a range of innovative, modern designs perfect for your space. 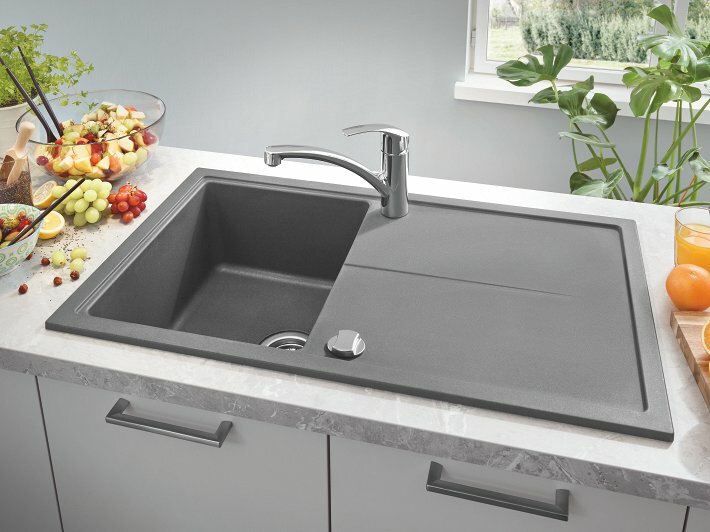 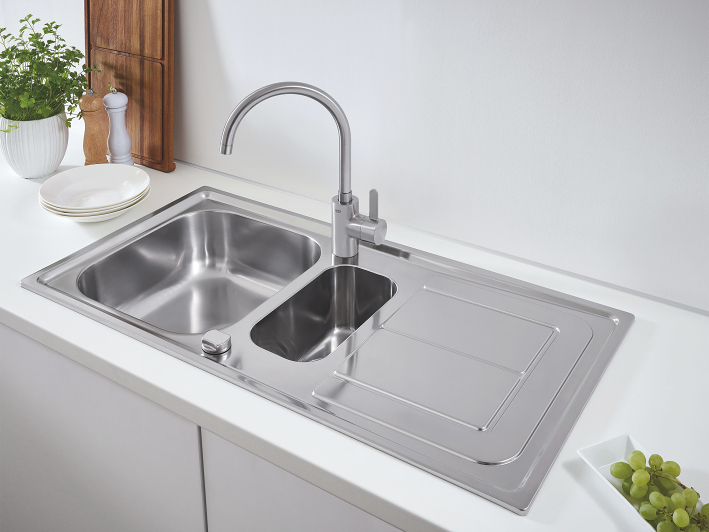 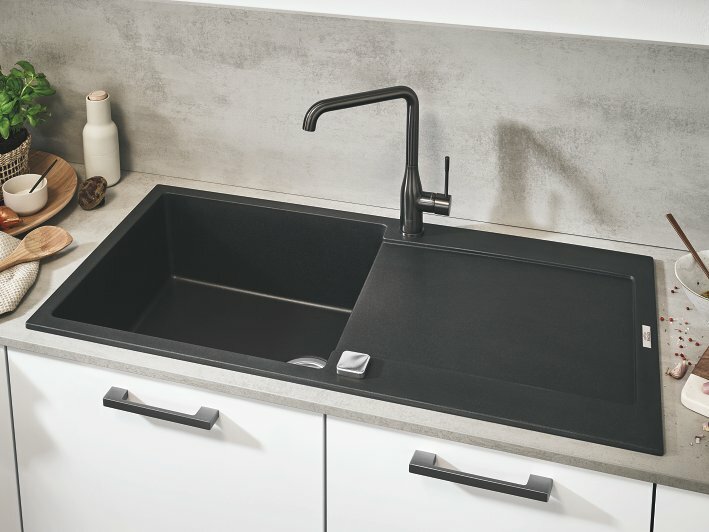 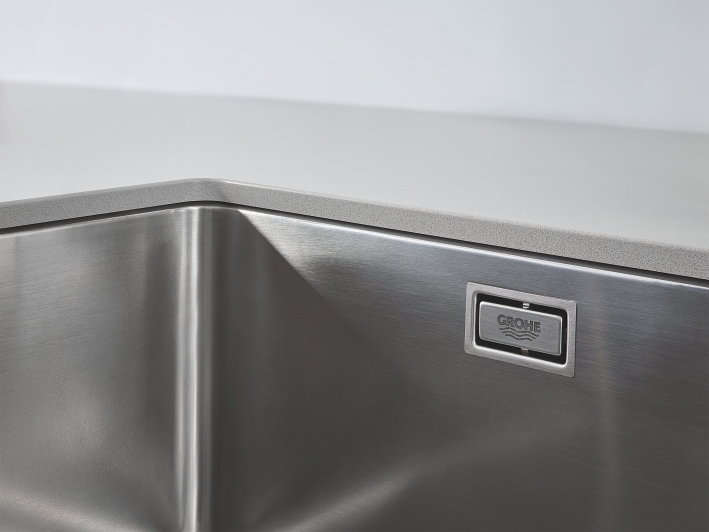 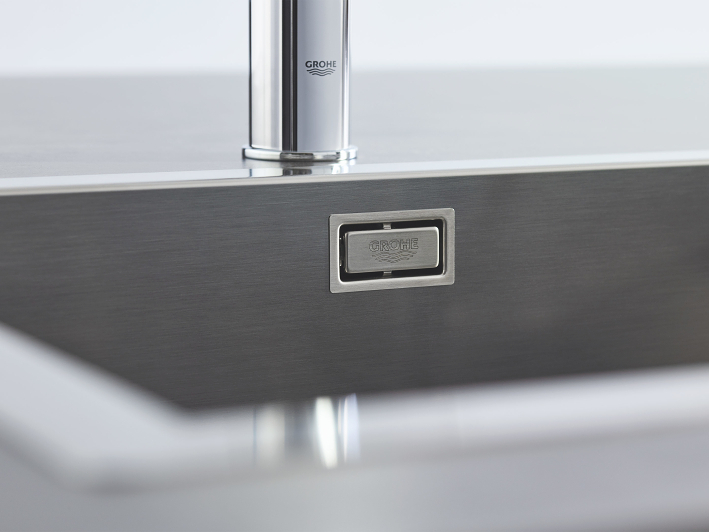 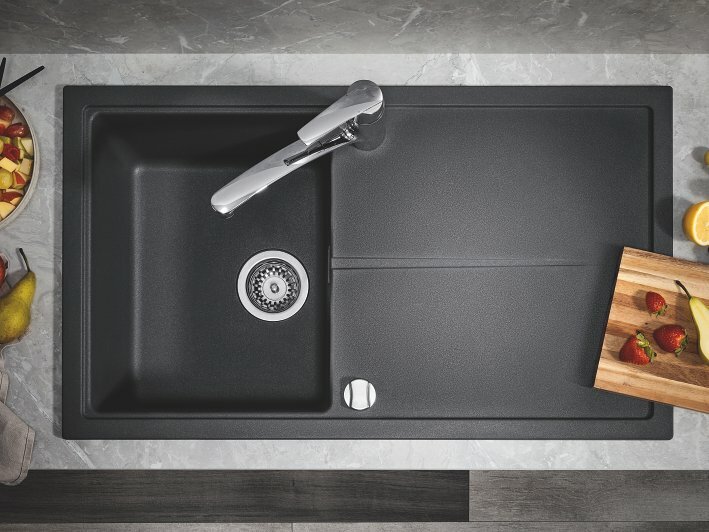 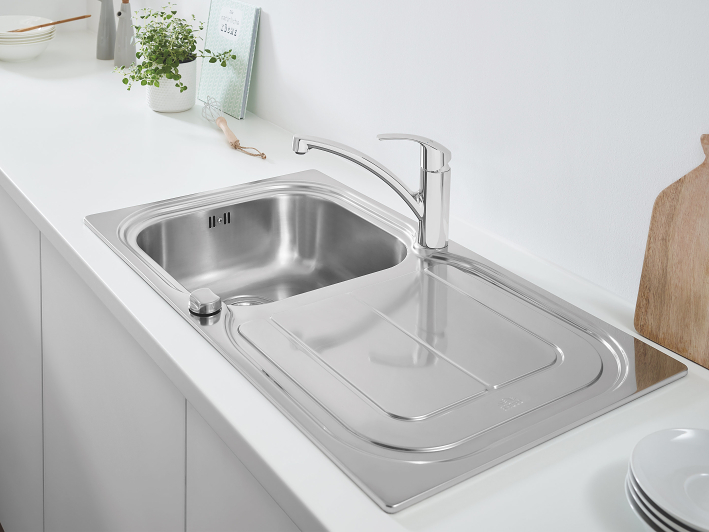 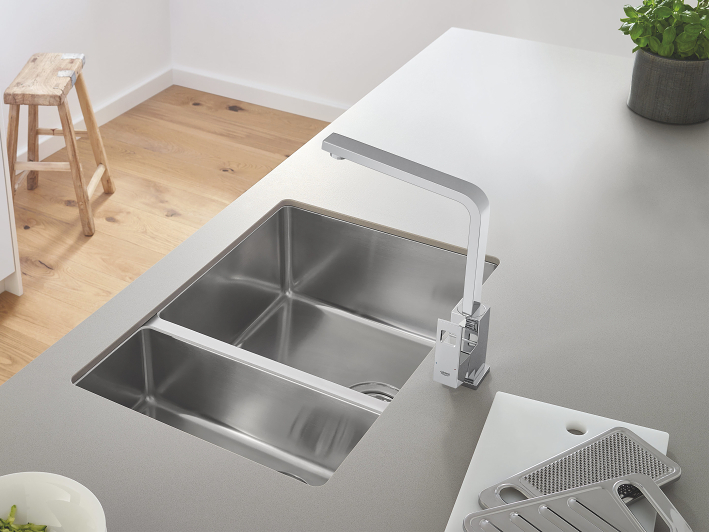 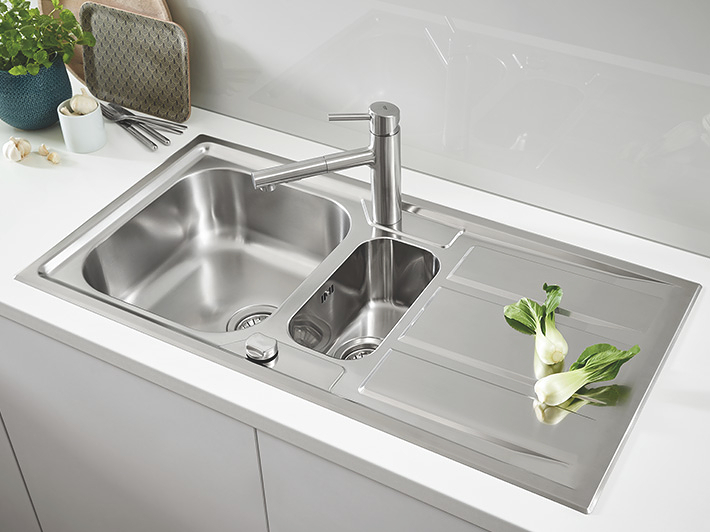 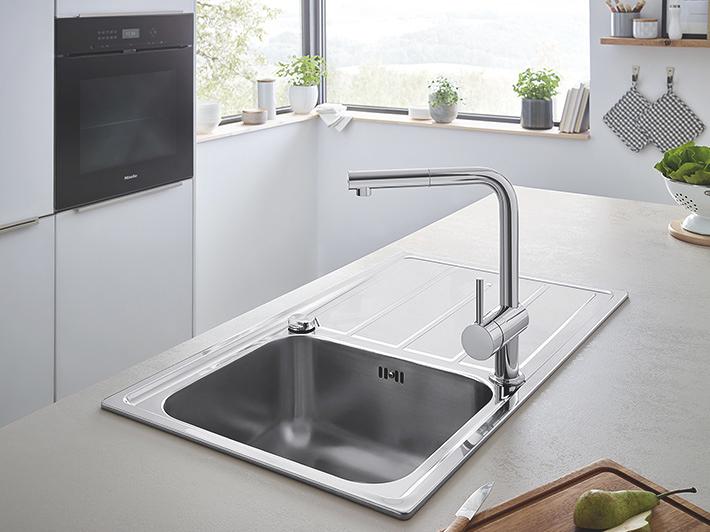 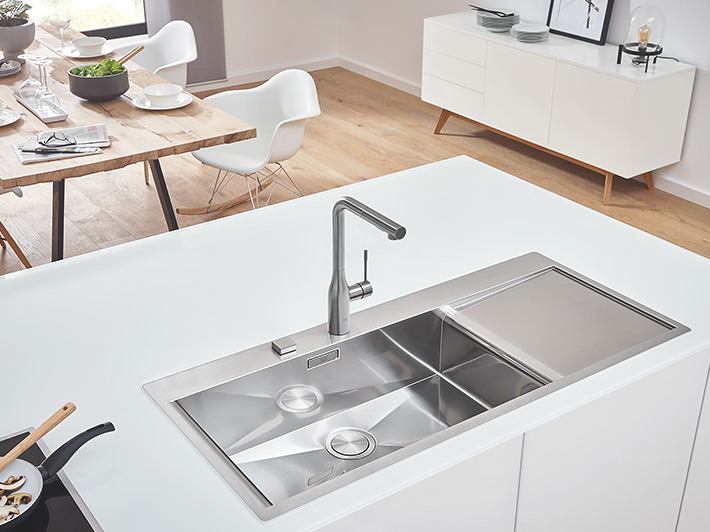 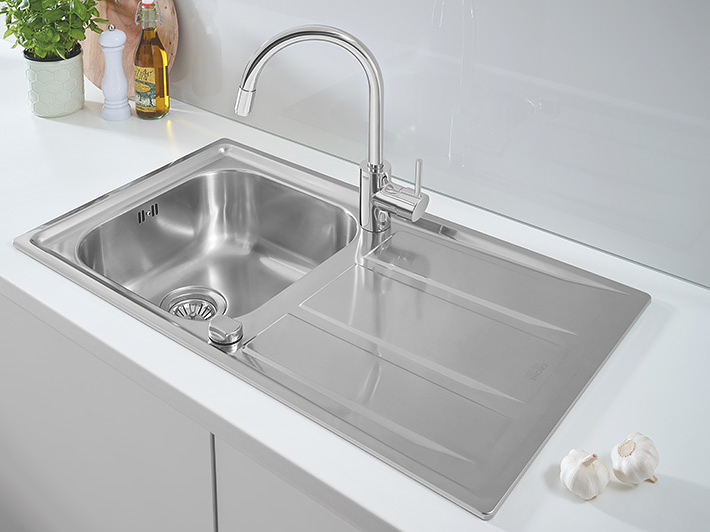 You will find compact models with integrated drainers, large double sinks for when you need to spread out, and chic built-in sinks that fit flush to your worktop. 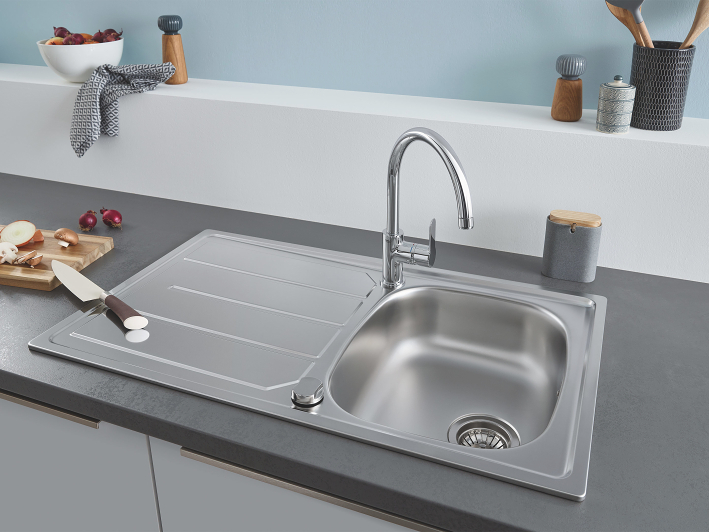 With features like the GROHE QuickFix system and reversible designs as standard, you can have your new GROHE sink installed in minutes with no fuss or hassle. 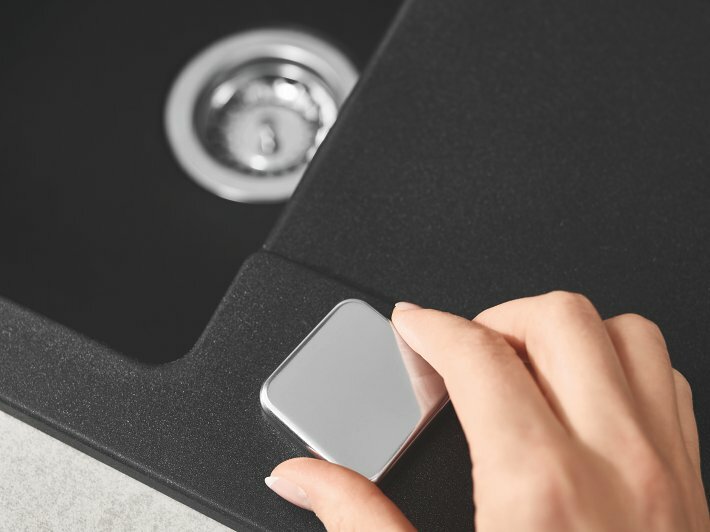 Plus noise-reducing GROHE Whisper insulation and on automatic waste that means never plunging your hand into dirty water again. 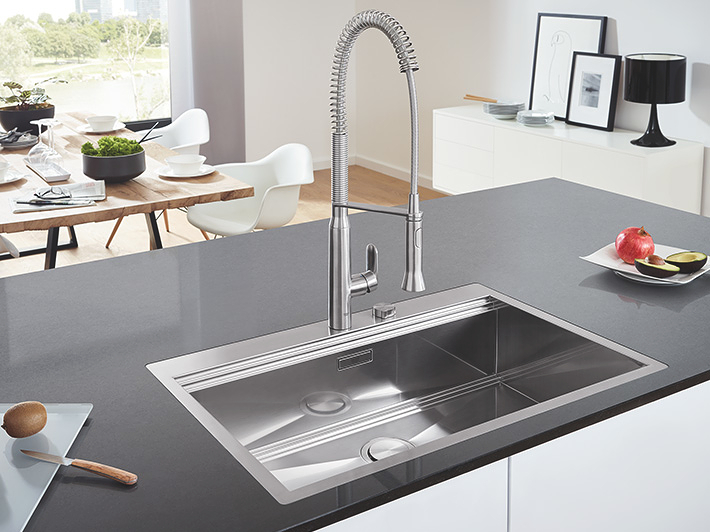 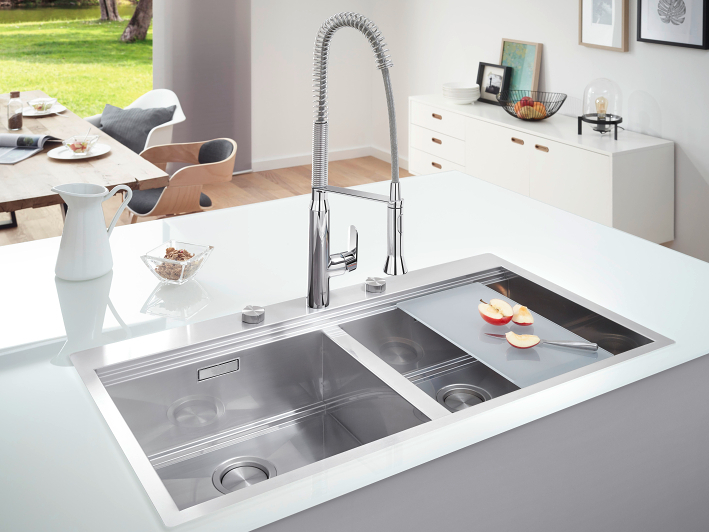 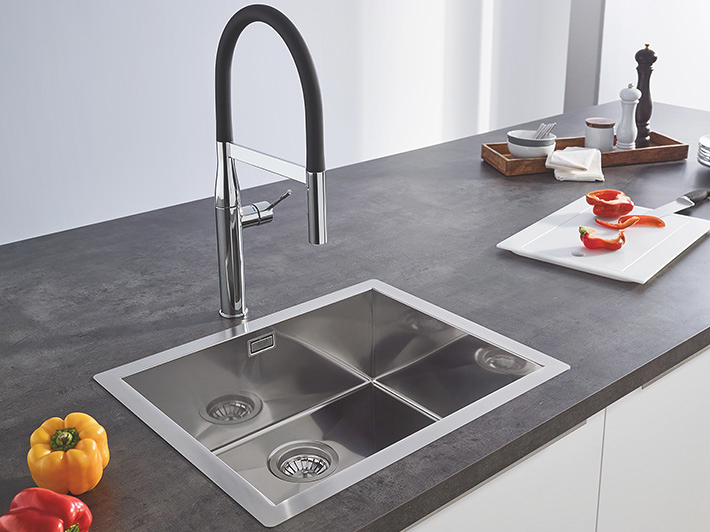 With a kitchen sink from GROHE you’ll notice the difference, making every time you use your sink less of a chore. 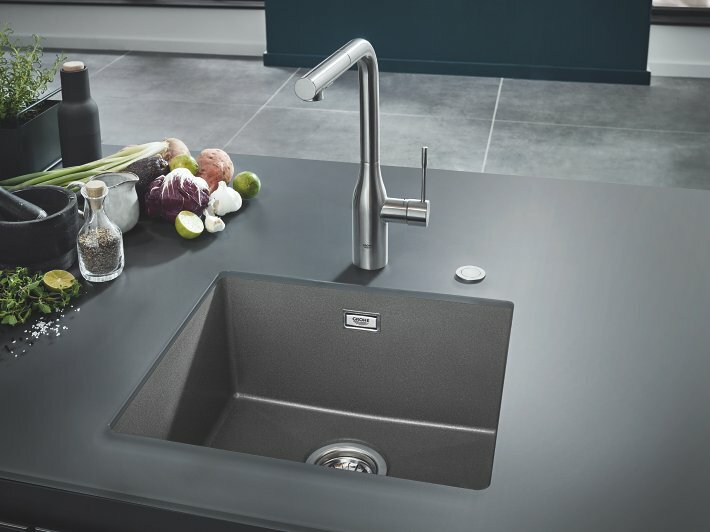 As the number 1 kitchen brand GROHE covers it all - our kitchen taps water systems, sinks, accessories and waste systems make creating an innovative, comfortable and practical kitchen easy. 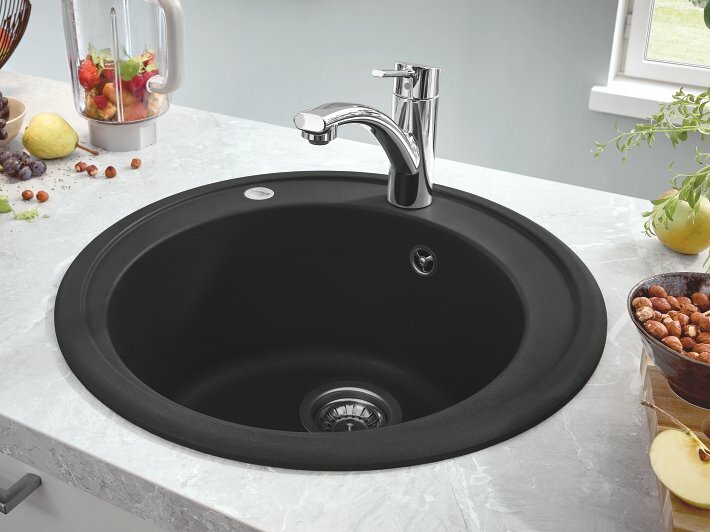 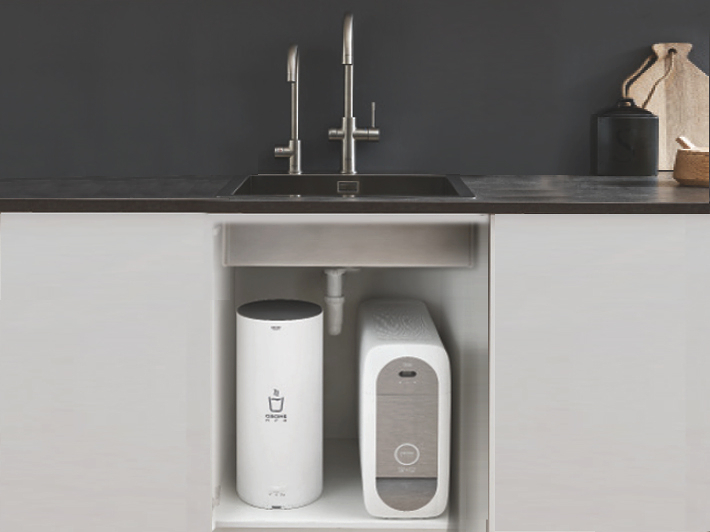 Make your sink purchase even easier with our bundles - 4 sink and tap models sold together, guaranteeing effortless style and perfectly matched performance.